One of the requirements of being a writer is being a good waiter. Not a restaurant waiter, but one who waits. You post or mail your writing for critiques and beta reads and wait for your reader to finish and give you feedback. You wait for a first draft to “season” before making edits. You wait for a submission to be rejected or accepted. You wait for publishers’ edits. You wait for your publication to be released. You wait for reviews and sales. You wait for whatever financial remuneration you are due for your sales. Wait, wait, wait. All this adds up the longer you write. The trick is to have many balls in the air so that while you’re waiting on A, you are working on B, then can move on to C, then return to A, and so forth and so on. Waiting is best remedied by diversity. You move from writing to editing to marketing, often within the span of a single day. I like this because I tend to be super intense and can easily chisel deep ruts in my routines. Like Tyrell, the toymaker in Bladerunner said, “The light that burns twice as bright burns for half as long.” Waiting is a good thing for me if only to keep me from burning half as long. Sometimes waiting goes beyond reasonable bounds. So many writers I’ve met have stories of the submissions sucked into black holes, the ones that garnered no responses, both with or without warning (ie “if you don’t hear from us within x weeks, we aren’t interested.”) Usually I am patient, but late last summer, I did withdraw a submission. What had promised to be a ninety day wait window stretched to four then five then six months. I resubmitted elsewhere and reset my waiting clock. Thankfully, I received an acceptance, but since it was an anthology, the publisher kept accepting stories until it filled…nearly three months after I sent in my story. Finally the publisher closed the anthology at the end of February and announced the table of contents. Today I received edits. Looks like the waiting that began with the completion of my short story in January 2011 for publisher A will finally come to fruition with publisher D (publishers B and C made grave rejection errors, alas) around May 21st. For a short story, that’s a long gestation period, but I couldn’t be more thrilled! 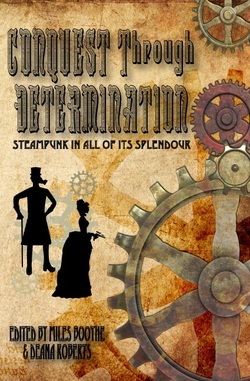 I’m pleased to announce that Conquest Through Determination, a steampunk anthology from Pill Hill Press containing my short story, Clockwork Nessie, will release in about a month’s time. Now on to those edits while I wait to hear about two other submissions…le sigh. The waiting is always the worst. 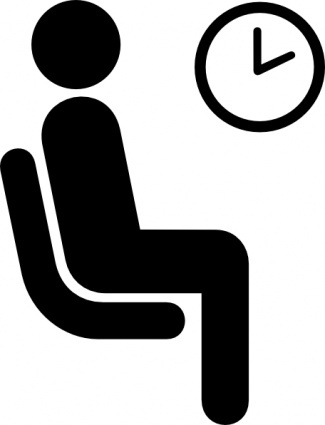 Us writers just need to keep busy and continue writing…and waiting. It is an acquired skill to some extent. Either that or I’ve eroded much of my impatience. Waiting is difficult but like you said, with enough balls in the air a writer has enough to keep busy. My theory has always been: blinders on, forge ahead and enjoy every turn, win and road block. The journey is the best part. LOL…God, grant me patience…but I need right NOW!!! ‘Grats! That’s where waiting and patience pays off! 🙂 Yeah! !